Rachael Swain is a director of intercultural dance theatre and a performance researcher. She is founding member and co-artistic director of Marrugeku, together with Yawuru dancer and choreographer Dalisa Pigram. She specialises in creating platforms for Indigenous and intercultural choreographies and dramaturgies in dance and in facilitating intercultural and trans-indigenous practice led research projects to redefine contemporary arts practices. She has directed Marrugeku’s productions Mimi (1996), Crying Baby (2000), Burning Daylight (2006), Cut the Sky (2015) and co-directed Buru (2010) (with Pigram). She was dramaturg for Dalisa Pigram’s award winning solo Gudirr Gudirr (2013) and will be dramaturg for Marrugeku’s Australian-New Caledonian co-production Le Dernier Appel to premiere in 2018. She has curated and facilitated (together with Dalisa Pigram) Marrugeku’s series of Intercultural Indigenous Choreographic Laboratories in Sydney, Broome, Auckland, Nouméa and forthcoming in Toronto. Rachael was a founding member and Co- Artistic Director of Stalker Theatre from 1989 till 2014. During her time with Stalker she pioneered challenging new approaches to Australian physical theatre, drawing on dance and multi-media practices. 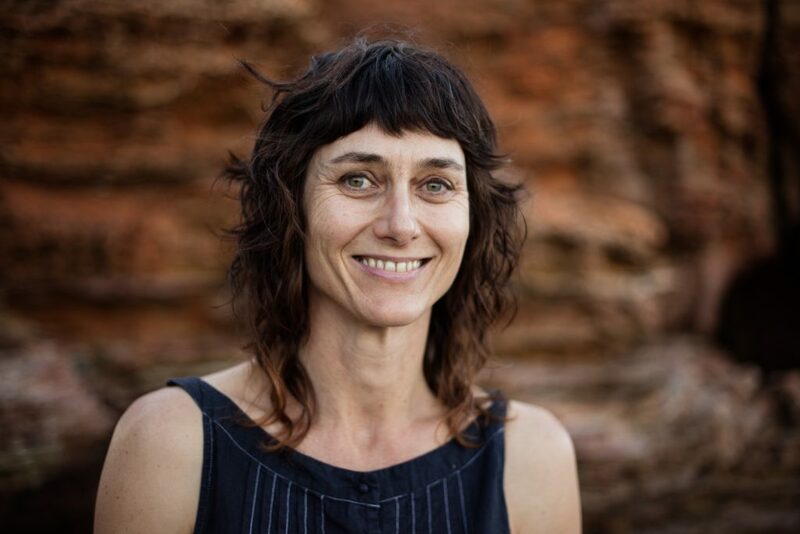 Rachael co-devised and performed in each of Stalker’s early ground breaking productions, touring extensively throughout Australia, Europe, Asia and Latin America from 1989 to 1995. In 1995 Rachael began directing Stalker’s large scale, interdisciplinary dance theatre productions including Blood Vessel (1998) commissioned by Perth Festival and Adelaide Festival, Incognita (2003) Commissioned by Sydney Festival, Perth Festival and Melbourne Festival, Sugar (2007) commissioned by the European Capital of Culture, Liverpool 2008 and Shanghai Lady Killer (2010) commissioned by Brisbane Festival and Melbourne Festival. Rachael trained at the European Dance Development Centre in Arnhem, the Netherlands. She has a MA in Performance Studies from Sydney University, a MA from DAS ARTS Amsterdam and a PhD from Melbourne University. She held an ARC DECRA research fellowship at Melbourne University 2013-2016. She is currently writing the forthcoming publication Dance and Contested Land- new intercultural dramaturgies, to be published by Palgrave Macmillan in 2017.